DESCRIPTION SHOWS LIKE NEW- NO AGE RESTRICTION! This home features open concept living with 9-foot ceilings, in-suite laundry, cozy in-floor heating, new vinyl plank floors and new paint throughout. If you’re looking for that first home, or an investor adding to your portfolio, this is the apartment for you. 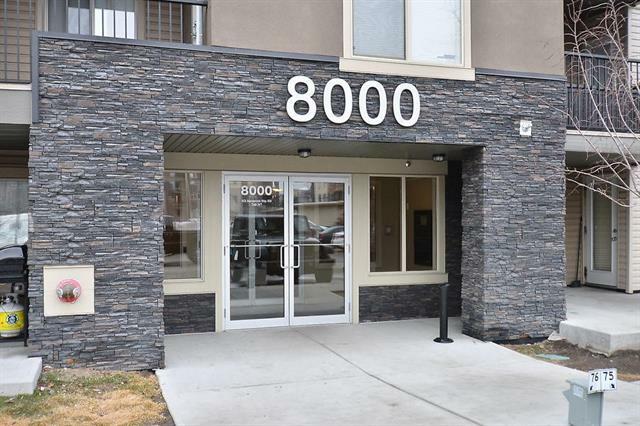 Smith's Crossing is a very well-kept quiet building located in the heart of downtown Airdrie. Come home to this beautiful third floor one-bedroom apartment featuring a great kitchen with maple cabinets and granite counter tops. 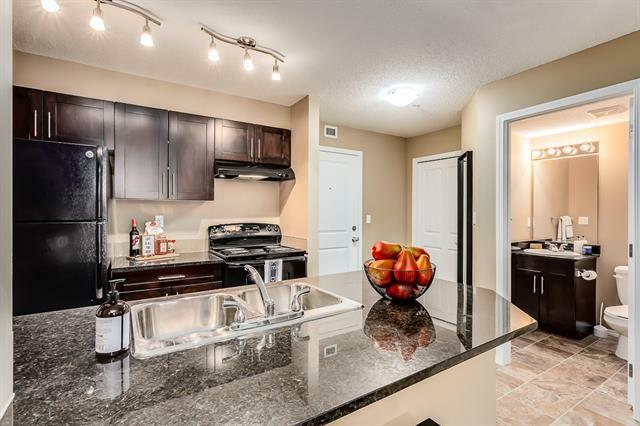 Entertain at the large breakfast bar or relax in the spacious living room with corner gas F/P and access to your private balcony with gas BBQ hook-up and views of Airdrie. You have one underground titled parking spot and heated storage. Just minutes away, there is shopping, restaurants, banks, transit, parks and Golf. Don't let this gem slip away, call today to view! Home for sale at #306 132 1 AV Nw Airdrie, Alberts T4B 3H4. Description: The home at #306 132 1 AV Nw Airdrie, Alberta T4B 3H4 with the MLS® Number C4216469 is currently listed at $187,500.